Cancun has beaches that are not only renowned in Mexico, but also worldwide. This famous touristic destination boasts six beaches with the category ‘blue flag’, which are among the 15 best in the country. 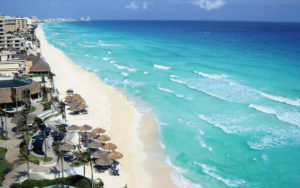 It is located in the hotel zone of Cancun. It is a beach with turquoise waters and strong currents that invite you to practice water sports such as water skiing and parasailing. It is in Cancún, facing the archaeological zone “El Rey”. This beach has turquoise waters and beautiful white sand. Its rough waters are what makes this place so popular among surfers. 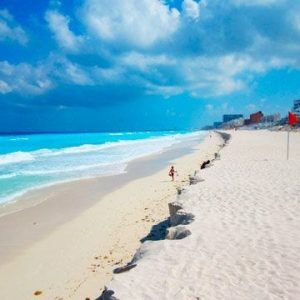 Unlike Chac Mool, Delfines’ surroundings are free of hotels or other constructions, so it is an inviting place to relax. Singularly enough, as its name says it, this beach’s main attraction is watching dolphins from the shore. This place is also in Cancún’s hotel-zone, and it is considered one of the most popular beaches there. 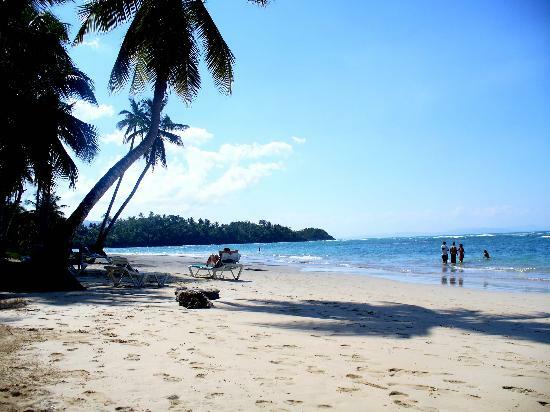 It has crystal clear waters, which makes it a great site to practice snorkeling, diving, surfing and kitesurfing. Likewise, it is very close to the Interactive Aquarium Cancun, which is definitely worth a visit. The infinite shades of blue and crystalline waters this beach offers, as well as its whiteish sand, is what makes it a perfect place for swimming. With an unbeatable location, this light-surfing beach has restaurants and places to relax while looking at the horizon and its beautiful scenery. Recently, facilities were installed like sun loungers, umbrellas and beach chairs, which makes this site even more inclusive. This is mainly a beach for fishing; generally with few tourists, and mainly locals.